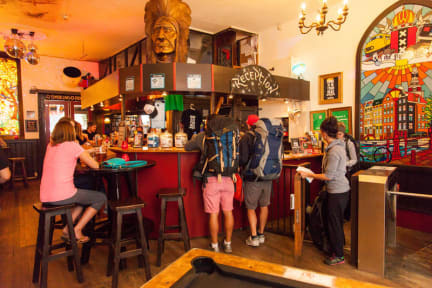 Perfect location, close to everything in town, very cool bar inside open till late night and friendly and helpful staff. Definitely want to come back there. Perfect Location, Clean rooms and clean beds. But beware if you want to rest. This is a party hostel, with very loud music and drunk or high guests coming into the rooms all the time.